As tribute to the Nick Cage/John Travolta movie…..we are going to have a Face (hand motion) Off. 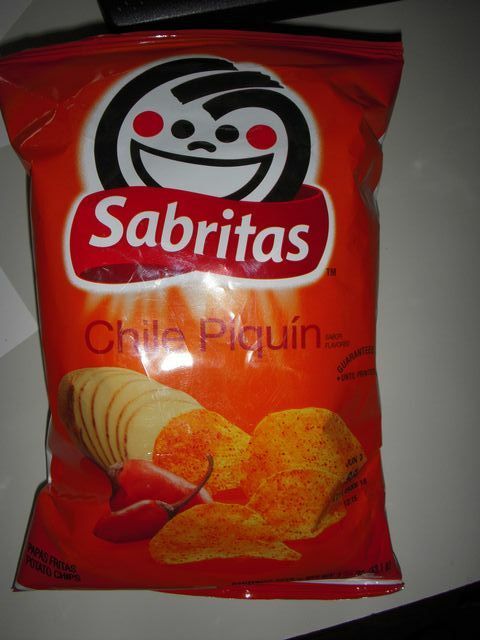 Once again I picked up two crazy looking flavors, and surprisingly, I thought that these two chips would be very similar in taste, but they ended up being pretty different. 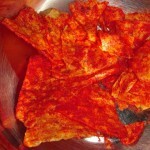 Both in the intensity of the hot sauce hot, as well as the overall flavor. 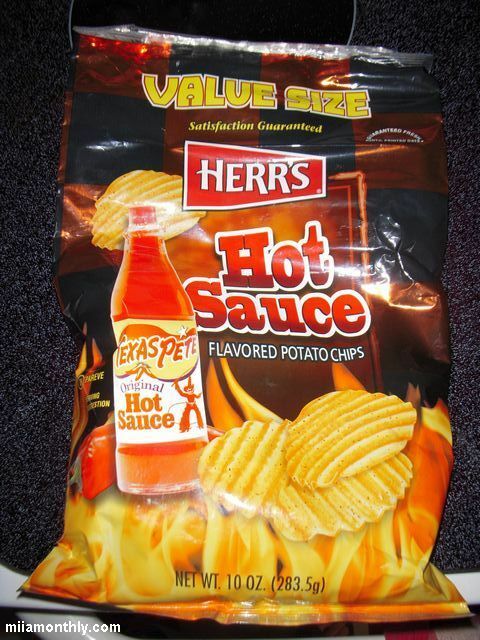 First up are the Hot Sauce chips from Herr’s, and the description on the bag perfectly describes these chips, which is chips with a coating of dried hot sauce on them. 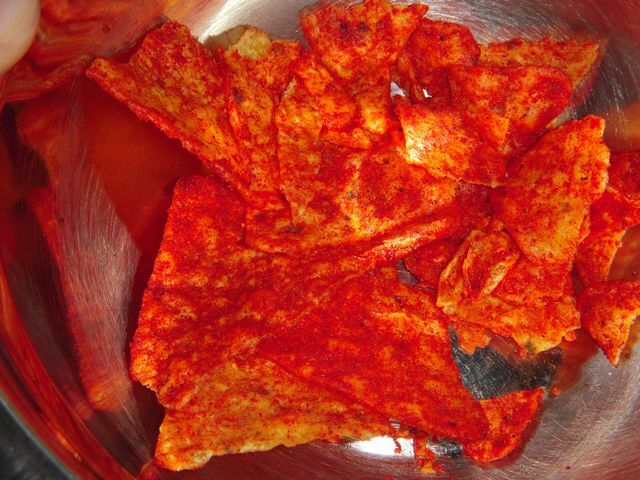 You maybe get a little bit too much of the vinegar flavor, that you would have with a cayenne based hot sauce (such as Texas Pete or Franks.) 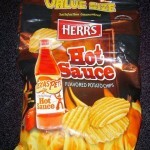 But in actuality it’s the cayenne and vinegar that make these hot sauces who they are, so you really can’t fault Herr’s for trying to capture the full essence of a hot sauce on a wavy potato chip. 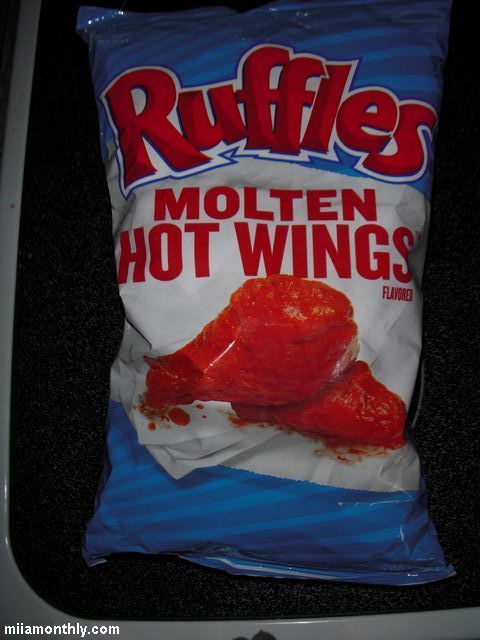 Lastly we have the Ruffles Molten Hot Wings, and these chips kind of surprised me, since I was expecting them to be close in flavor to the Herr’s chips, but they really weren’t. 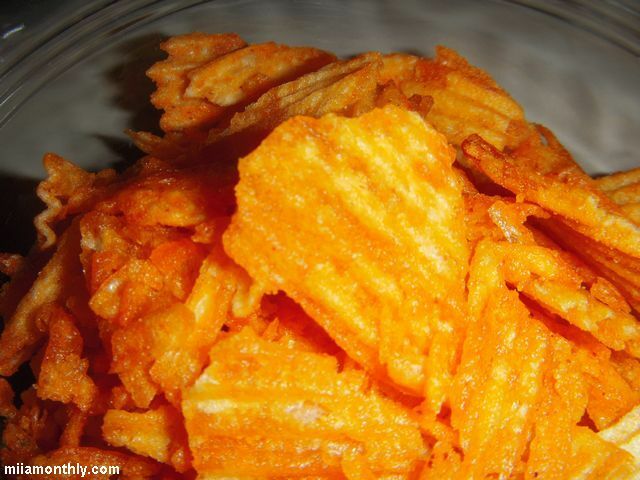 With the key difference being that the Ruffles have not only the hot sauce flavor, but they also have some chicken bullion added in, so that you actually kind of think that you’re eating a buffalo wing, even though you are eating a potato chip. 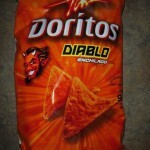 I wouldn’t necessarily say that the flavor is “molten”, but they are mildly hot, and quite interesting for a chip flavor. Unfortunately in the end I thought this challenge was going to be more like apples vs. apples, but it turned out to be more of apples vs. oranges. 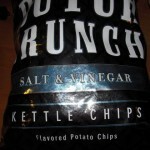 Both chips overall have a good flavor, it’s just that with the addition of the chicken flavor on the Ruffles, it puts them in the same category in my mind as the Baby Back Ribs chips from Herr’s, due to the addition of a “protein” flavor on the chips. 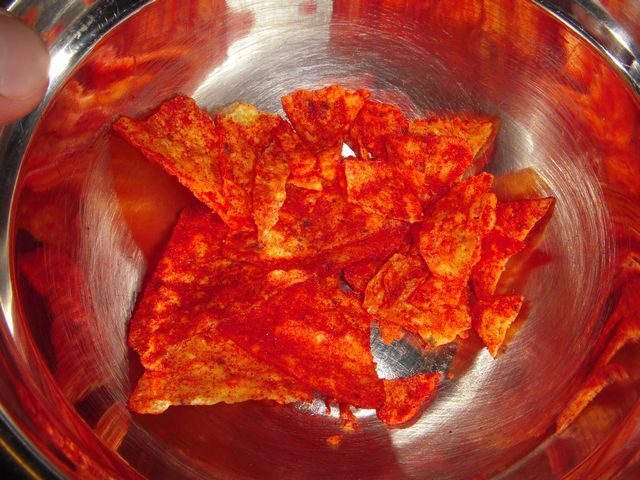 But really, if you are looking for a chip with hot sauce flavoring, either one is more then adequate to satisfy your desire for hot sauce. I know it did for me. All I can say is: BORING. 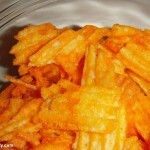 I will give Frito Lay the benefit of the doubt, in that they didn’t recycle one of their other flavors to make these chips. 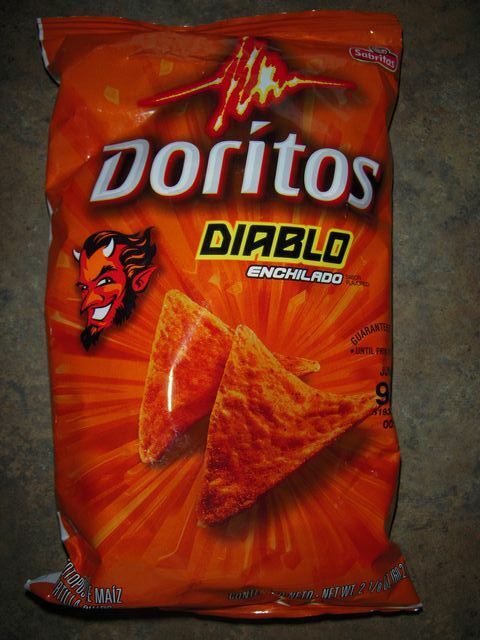 But their really wasn’t anything exciting about this flavor. More or less it tasted like tomato soup with a hint of basil, with the ironic part being that on the back of the bag is a recipe for making tomato basil soup. 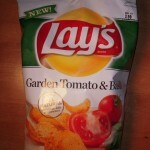 For some reason I thought that these chips were going to taste more like a caprese salad, which is usually what I think of when I see tomatoes and basil put together. But instead I got a mouthful of crunchy tomato basil soup. Overall I’m indifferent to this favor. 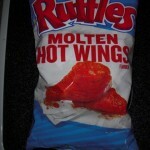 Would I get them again, maybe. 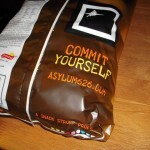 But I can tell you that I won’t be going out of my way to get a bag of these chips. 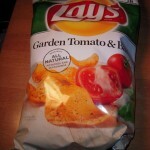 This is another one of those flavors that I picked up at the Meijer in Kalamazoo. 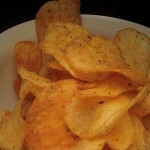 Call them the staid big brother verse his skater punk little bro in the Lay’s Dill Pickle chips. 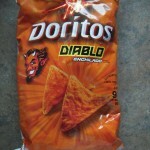 Since I don’t remember ever seeing this flavor of Doritos before, I had to get a bag. 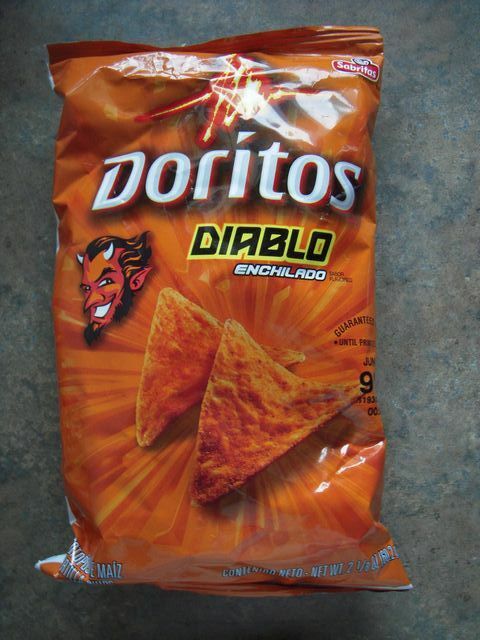 And the flavor listed on the bag is the actual order that you get the flavor when eating these Doritos. 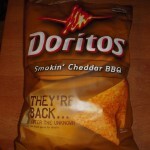 First you get the smoky flavor, and as you chew you get the cheddar flavor, with a finishing flavor of BBQ sauce. 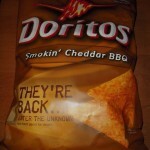 The only downside was the BBQ flavor, in that it is more of a sweet BBQ sauce flavor, almost like the BBQ flavor on Lay’s Honey BBQ flavored chips. 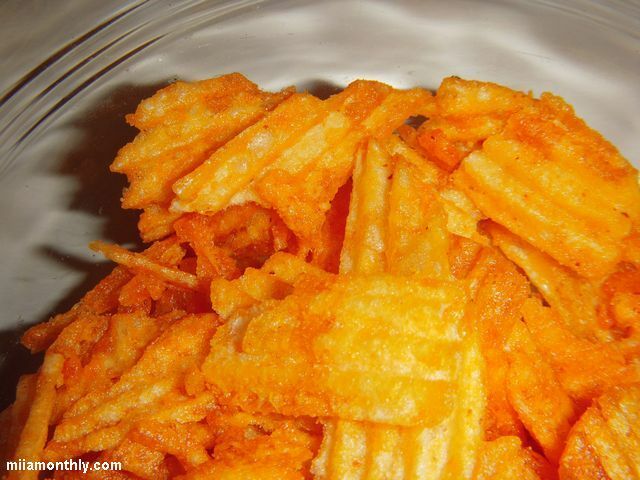 Personally if they would have used the BBQ flavor from the old KC Masterpiece Ruffles, it would have paired up better with the smokiness and the cheddar. I guess we can all dream. 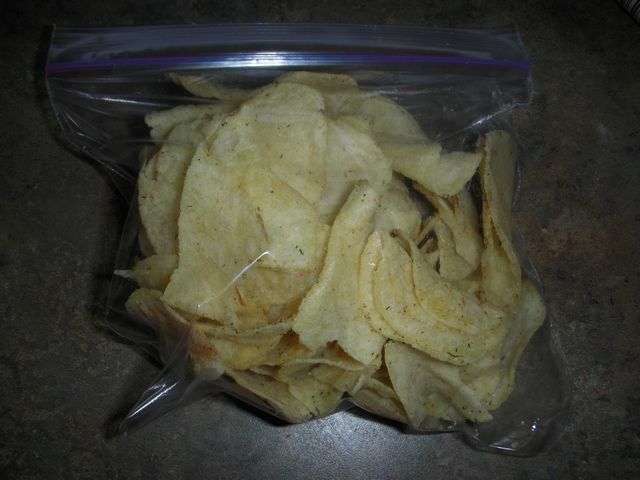 I guess that everything old is new again, because the first thing that I thought of when I tired these chips was Lay’s Dill Pickle flavored chips. 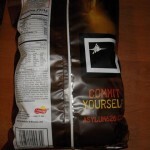 But when you think about it, talk about a brilliant piece of marketing on the part of potato chip companies. 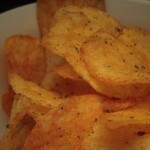 Salt and Vinegar chips are a down in the dumps flavor, almost a throwback flavor in these current times. 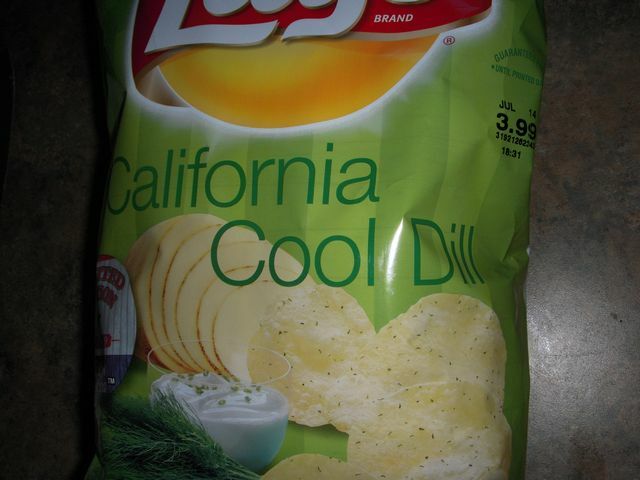 But guess what, you add a little dash of dill flavoring and presto! 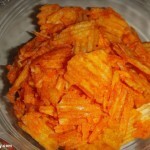 You were able to recycle a flavor that no one was buying into something cutting edge. 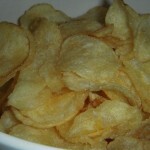 As a side note, for some strange reason Salt & Vinegar flavored chips always make me think of the UK and fish and chips. 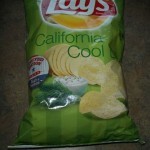 Maybe it was because of the baby blue color on both the Lay’s Salt & Vinegar chips as well as these Old Dutch chips. 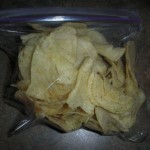 Did I somehow miss the memo that baby blue = salt & vinegar? 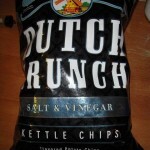 But in any case, I thought that these Kettle Cooked Old Dutch chips were pretty good, and judging by my consumption of half a 8.5 oz bag in one sitting, that means a pretty solid thumbs up from me. 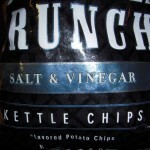 Maybe I’m currently experiencing a salt & malt vinegar deficiency that needed to be quenched. 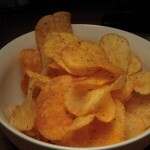 But these salt & vinegar really hit the spot. 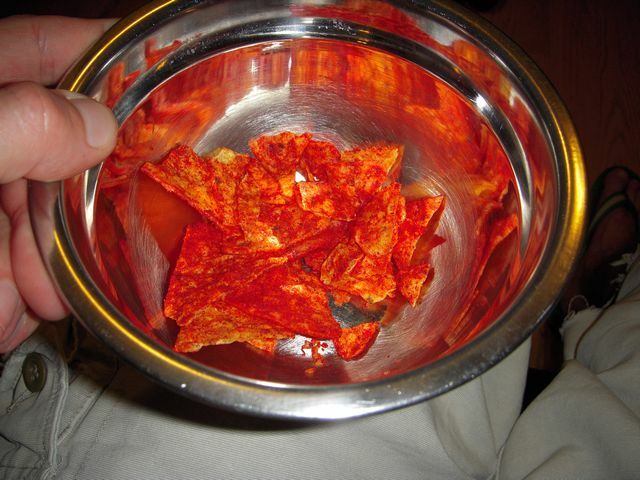 And mixed with a little bit of beer from a free keg of BL (15.5 gallons isn’t going to drink itself away) in the kegerator it made for a nice, though unhealthy late night snack. 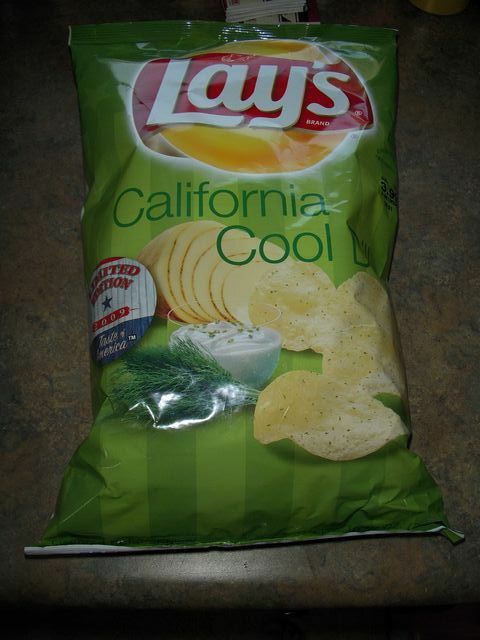 What a surprise, how similar these chips taste to Lay’s sour cream & onion….except that they changed the green onion for dill. 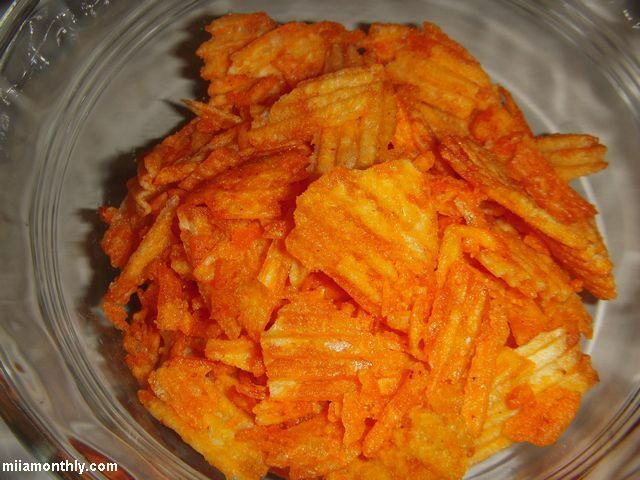 It’s a nice subtle change from sour cream & onion, without any heavy R&D costs on the part of Frito-Lay (Which I’m sure they blew on the WoW Mt. Dew flavors.) 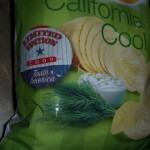 Right now if I had to pick between sour cream & onion vs dill, I would say that it is a toss up. 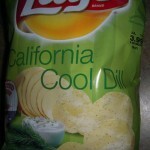 So if you like Lay’s sour cream & onion, you’ll like the slight change up with the Lay’s California Cool Dill. 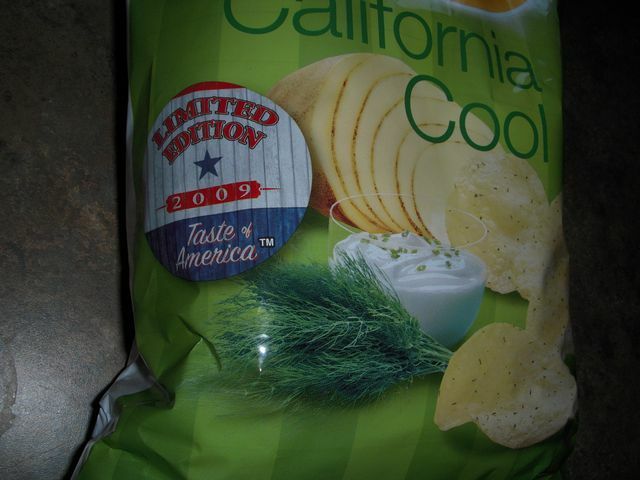 This is one of the chips from the care package, and it had a pretty good flavor. 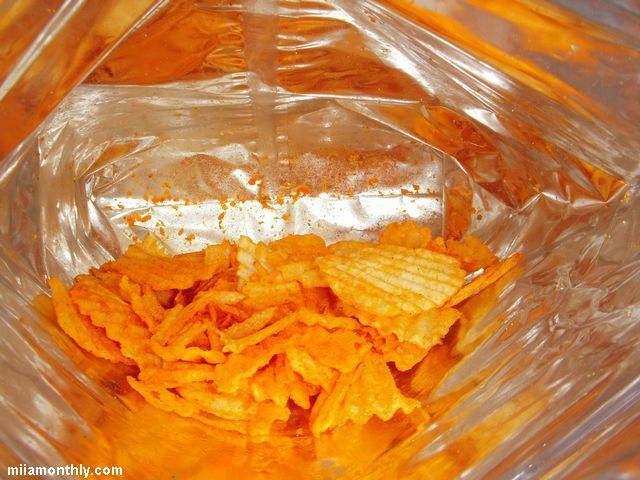 When you smell the chips, they don’t have a very strong smell. 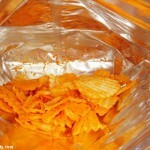 But what they lack in smell, they make up for in taste. 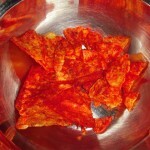 Overall you get a combo of three different flavors with these chips, the chile, some cumin and lime. 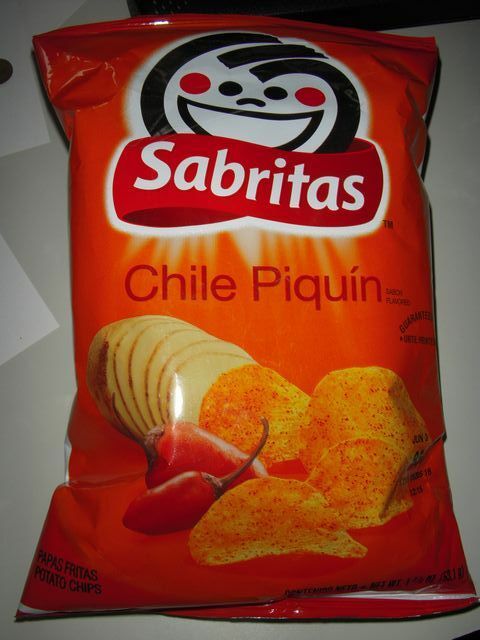 The chips have some heat from the chile, but they really don’t have a lingering heat. 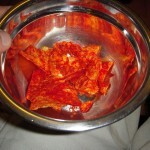 So once you’re done eating the chips, the heat of the chilies goes away fairly quickly. 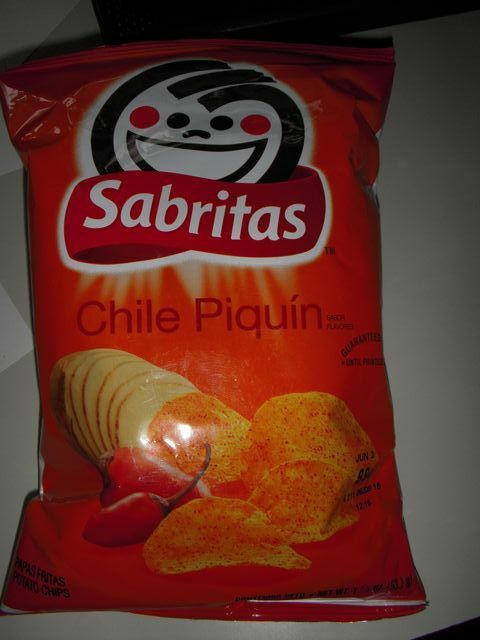 At first I thought they would going to taste like a hot paprika chip, but they didn’t at all. 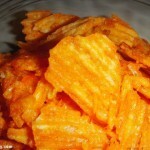 What was really different was not so much the lime, as the cumin. 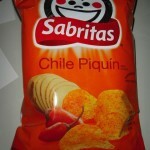 It was almost like eating a spicy taco on a potato chip, but different. 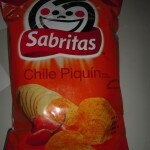 I had these chips with a sandwich made of freshly baked ciabatta, and it was a good combo. 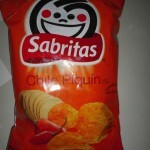 These are chips that I wouldn’t mind having again at a later date. Thumbs up!